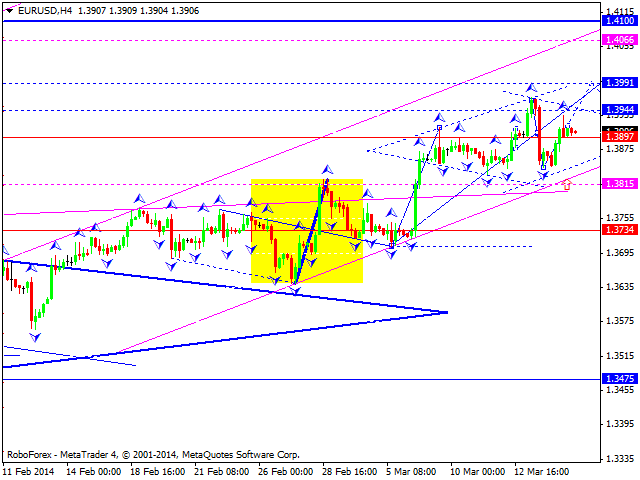 Euro is still moving inside ascending channel with target at level of 1.4100. We think, today price may reach local target at 1.3990 and then form descending correction towards level of 1.3800. 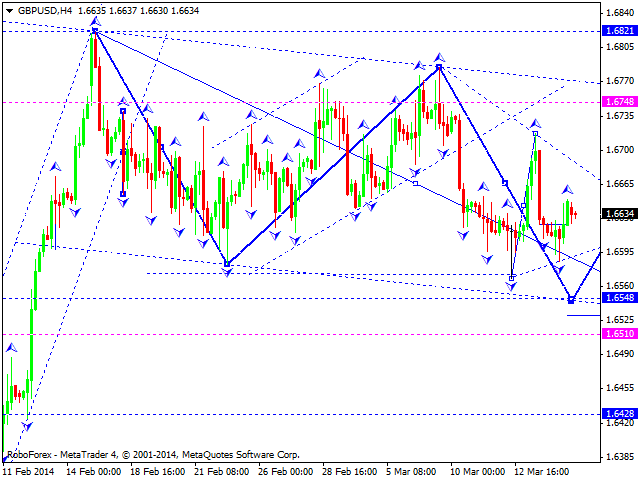 Later, in our opinion, instrument may continue its ascending movement towards main target at level of 1.4100. 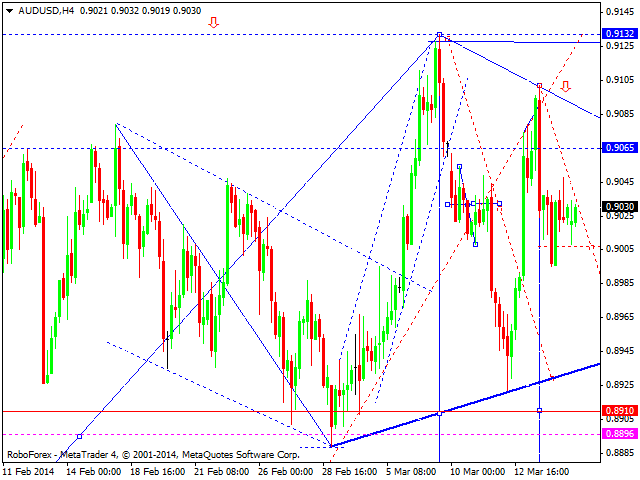 Franc is still consolidating near level of 0.8730. We think, today price may continue falling down towards level of 0.8670, consolidate for a while, and then continue falling down towards main target at 0.8300. Yen is still consolidating near level of 101.80. 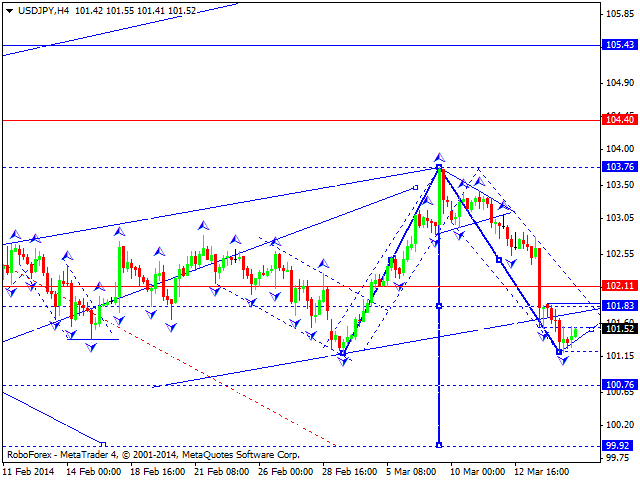 We think, today price may continue falling down towards target at level of 100.00. Alternative scenario implies that instrument may return to level of 102.50 and then continue moving downwards to reach above-mentioned target. 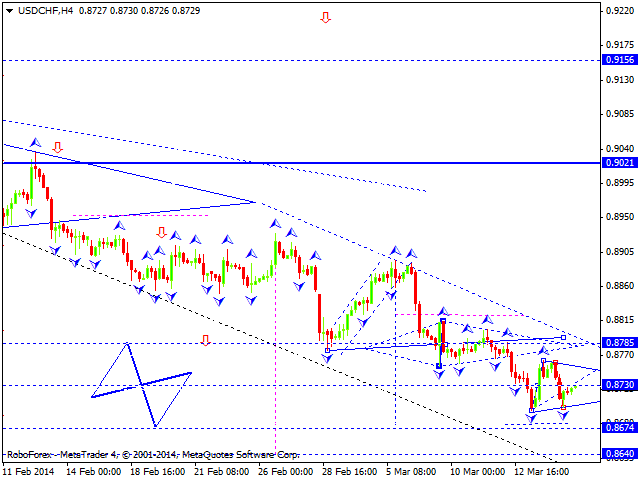 After making another descending movement, Australian Dollar is forming consolidation channel. We think, today price may move downwards to reach level of 0.8900, form another consolidation channel, and then continue falling down to reach level of 0.8720. 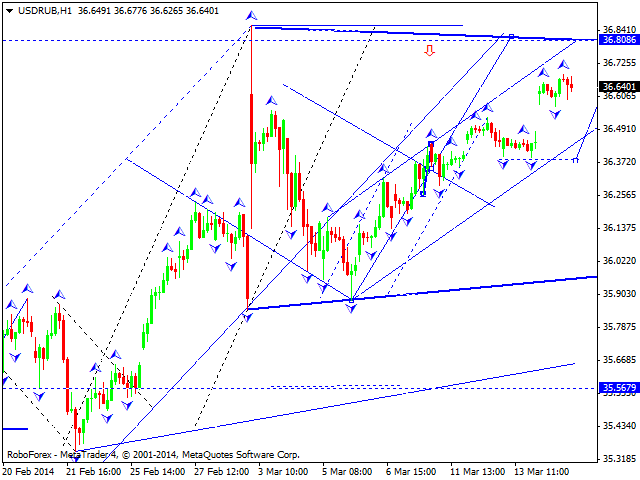 After a gap up, Ruble is still consolidating and may continue growing up towards level of 37.50. Later, in our opinion, instrument may fall down towards level of 36.50 and then form new ascending structure to reach level of 38.50. 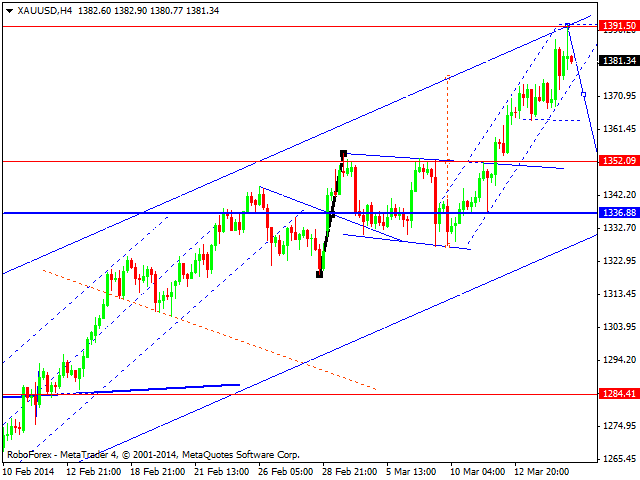 Gold continues moving inside ascending channel with target at level of 1490; market hasn’t been able to form any correction yet. We think, today price may consolidate near current levels and then continue growing up to reach above-mentioned target.